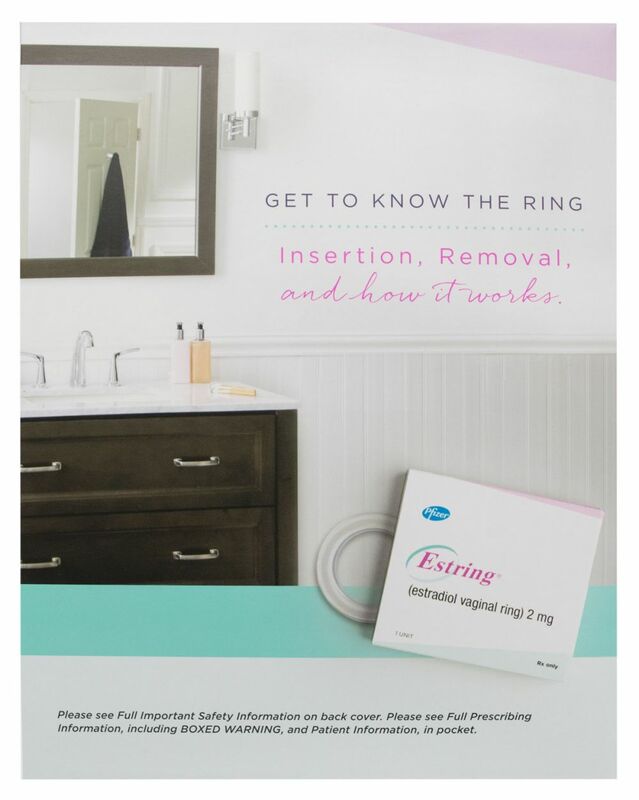 Pfizer needed a means to communicate to health care professionals and patients the benefits and details of its Estring estrogen therapy ring. They also needed to be able to clearly demonstrate how the device is used. Americhip partnered with Pfizer and its agency to create a patented Video Brochure that opens to reveal our 4.3” screen that plays an animation demonstrating exactly how the product is used. Many of Pfizer’s products are complex and need to be accompanied by extensive instructions, disclaimers, and medical details. So Americhip’s 8" x 12”, four-panel + internal pocket brochure affords plenty of space to present all the necessary information and data while maintaining a clean layout that’s easy on the reader’s eye. 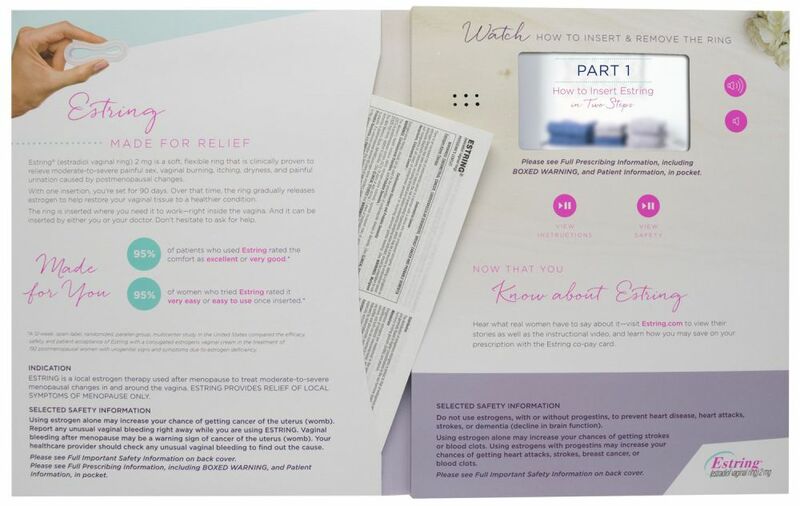 The Video Brochure includes two chapter buttons, one for instructions and one for safety information. And because of the sensitive nature of the product and the in-office setting, we included volume controls and a headphone jack so users could be afforded the privacy they desire in this public setting. Put Americhip’s Video Brochures to work educating your HCPs and patients.